Want to know what Operation Imprezza does? Read about What We Do here, our Progress To Date here and Current/Future Projects here. Catherine Omanyo is the founder and Director of Imprezza Academy, the school in Western Region, Kenya that Operation Imprezza supports. Founded in 2001, Catherine's aim was to give children in Kenya who could not afford school fees the chance to learn. Pupils who could afford to pay would help fund the education of those less fortunate. She herself could not afford to go to school but achieved an education by sneaking into lessons and persuading a teacher to let her take exams. She was determined others would not have to do the same. Click here to view a message from Catherine recorded at the school in 2013. Originally from Cheshire, Chris Hulme has worked and lived in many parts of the UK. His career was always in shipping, transport, warehousing, world-wide import and export. He then became self employed for 5 years building up a company which he then sold due to ill health. He has worked in Nigeria, prior to their oil discoveries, which began his interest in Sub Saharan Africa. Chris became a volunteer with FARM Africa and continued with them until Operation Imprezza was set up. This level of involvement continues today devoting all his spare time as a volunteer. He is extremely proud to lead such a fantastic team, headed by Catherine in Kenya and here in the UK where he is Chair of Operation Imprezza. David Dupont has been a long term supporter of Imprezza, and is married with 2 grown up children. Born in Yorkshire, and growing up just outside London, he originally trained as an Electronics Engineer and worked and lived in Farnborough (Hampshire). After taking a 2 year MBA at Manchester he switched to business planning and finance roles, and worked for a retail and property development group based in Milton Keynes. 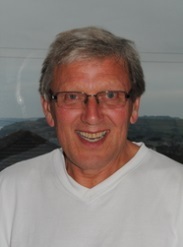 He moved to Teignmouth in 1992 where he worked for many years in similar roles for South West Water and its parent company Pennon Group Plc including 13 years as Group Finance Director. In his spare time he enjoys playing tennis, and also plays in a rock band. 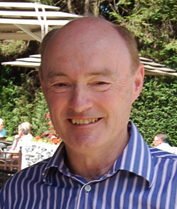 David is delighted to be joining Imprezza as a Trustee and Treasurer. Bob Cross was appointed his first Headship at Stokeinteignhead Primary School, South Devon in 1994 and retired in Dec 2010. He first became involved with Imprezza Academy directly when his school undertook global curriculum projects with them and most recently another British Council Project called Connecting Classrooms. Bob is a Director. 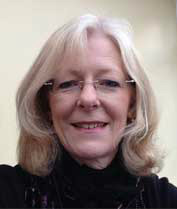 Alison Revell is a dentist in Newton Abbot. She first learned of Operation Imprezza from Chris Hulme some 6-8 years ago. She visited Imprezza Academy in September 2013 in her capacity as a dentist and was able to offer Oral Hygiene Instruction and dental treatment to the staff and students. Subsequent to this visit, Alison is delighted to be joining the Directors and looks forward to supporting the Charity and thereby, the Academy as much as possible. ​Now retired, Mike Anthony worked for many years in primary schools and nurseries in behavior support, following a career in the Royal Navy and Royal Naval Reserves. He has been a supporter of Operation Imprezza for many years, learning of it’s work from Chris Hulme and his daughter Sarah who he knew first as a scout and now as a daughter-in-law.